I think, Flipkar is having wrong information. You can visit univercell.in. they are showing X8 price is approx. 14K and it was even expected price in india from the beginning. available on flipkart for 28990/- but guys its not worth it!!! [deleted post]Me too.... nw m losin patience.. hw much can u wait for a phone!!! Neways reports says Sep 27.. Lets see wat happens this week!! Fingers crossed!!! Sujal, 23 Sep 2010Hi Everybody, Is anybody knowing when this phone going to launch in India? I have read @sever... moreya. its Lanch. se please make us proud owners of sex8 sooner than later. 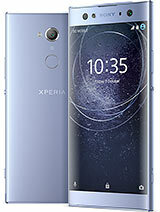 This handset looks much more beautiful if they stucks with xperia x10 lineup design/black glossy plastic.The white plastic used looks very cheap.Please SE give black(glossy)colour option also. Sony Lover, 23 Sep 2010Sorry for wrong data............/ Actually the ram is 256MBYes at least 256 mb is required for smoother apps/Games performance.When it gets eclair, memory requirements surely increased.If it comes with 128mb ram,It's a waste of time & money. Anonymous, 23 Sep 2010qualcomm MSM 7227 can support upto WVGA(800x480) resolution........ and This phone has onl... moreDear, 128MB Ram is enough for android 1.5,1.6.But its not enough for 2.1 or above.Just take a example of spica which have 800mhz & 128mb ram, cupcake run quite smooth but when it gets eclair update many apps become lagging.Also it also difficult to play heavier games on it.So 128mb ram isn't enough for 2.1 or heavier apps/games. Anonymous, 23 Sep 2010hsdpa------7.2Mbps rom=256 MB ram=128 MBso..internal memory same as ram??? for android, is 128 ram enough for system??? how about x10 mini's ram??? if x8 compare with galaxy spica, which one is better..
i wants to know the gaming system of this phone.?? does it support motion based gaming or not? ?